Pfc. 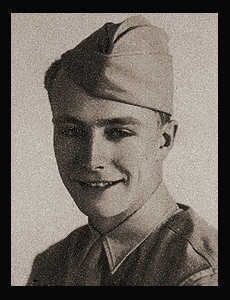 Winton M. Brubaker, son of Mr. and Mrs. Roscoe C. Brubaker, graduated from Grandfield High School, attended Okla. A & M. Entered the Army in Dec. 1942, trained in Camp Campbell, Ky.; served in England, France, and Germany, where he was wounded in action in March, 1945. Awarded Good Conduct Medal, ETO Ribbon with two Battle Stars, Purple Heart with Oak Leaf Cluster, Occupational Ribbon.